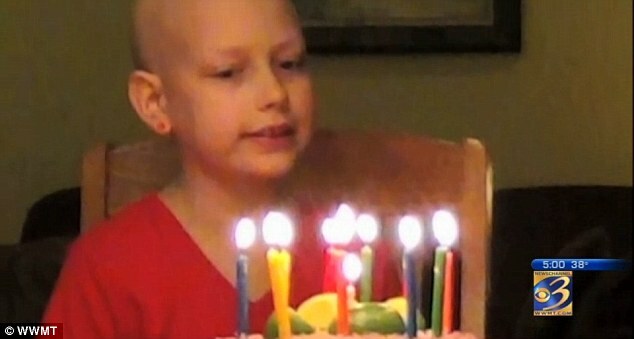 A 12-year-old girl battling Leukemia for two years has been kicked out of school for her lack of attendance. ‘I didn’t do anything wrong, but they still got rid of me,’ Rose McGrath of battle Creek, Michigan said tearfully. Last week St. Joseph’s Middle School, a private Catholic School, sent a letter to Rose McGrath and her dismissing her from the school for low attendance and poor academic performance. Rose’s mother Barbara McGrath was just as heartbroken to hear the news and said even though her daughter is no longer getting cancer treatment, that her recovery will take some time. ‘Even though she’s now done with her treatments you still have a very long recovery process because you’ve basically just put two and a half years of poison into your body. You’re not recovering overnight,’ said Rose’s mother, Barbara McGrath. Rose has been attending the Battle Creek Catholic Schools her whole entire life and when she was diagnosed with lymphoblastic leukemia her world was turned upside down. Rose told WWMT that school was the one place that she actually felt normal. ‘When I’m at home, I’m sick, I don’t feel well; no one else does that. But when I’m at school I’m like everyone else,’ Rose said.